Nina Wadia has become a house hold name mainly due to her success in the role of Zainab Khan in the long running soap success, EastEnders, which she has played since 2007. But it is not just television that has bought her fame with successful theatre and radio productions to her name. Wadia was involved in the Pakistan Earthquake Appeal Concert and Fashion Show, at the Royal Albert Hall in 2005. She has also been involved in campaigning for Save the Children and for increased organ donation from Asians in Britain. "NINA Wadia won ‘Best Comedy Performance’ at the 2009 British Soap Awards. Additionally she won ‘Best Onscreen Partnership’ at the same awards ceremony for her onscreen relationship with Nitin Ganatra. In 2004 she won the Chairman’s Award at the Asian Women awards. 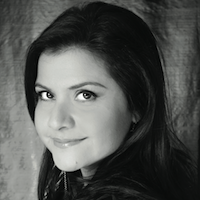 NINA Wadia has also made several guest appearances in various British comedies and dramas, such as 2point4 Children, The Vicar of Dibley, Thin Ice Chambers, Holby City, Murder in Mind and Doctors. She was a regular presenter on the ITV topical chat show Loose Women (2005–2006). Wadia has recently appeared in the E4 teen Comedy/Drama Skins, playing the mother of Anwar Kharral, and, in March 2008, she appeared in the BBC Three pilot West 10 LDN, she also appeared in New Tricks."